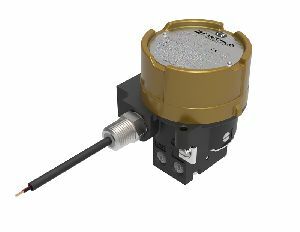 Rotork Fairchild TXI7850 explosion proof I/P transducers have long been approved for and utilised in natural gas operated instrumentation systems. The explosion proof evaluation of these units by underwriting agencies such as FM, ATEX and CSA™, using standards covering a constant fuel gas presence, ensures safe and reliable operation in the field with compressed natural gas as the supply medium. In the USA new government regulations require all pneumatic controllers at the wellhead to have a maximum consumption of 6 SCFH (Standard Cubic Feet per Hour). In Canada and other countries, carbon credits can provide economic incentives to utilise low emission products, so the challenge is to provide controllers which reduce or eliminate these fugitive emissions. The new Rotork Fairchild TXI7850 series maximum consumption levels are 3.6 SCFH for the 3-15 psi output range unit and 5.5 SCFH for the 6-30 psi range unit. These rates are for natural gas as a media and applicable all the way to the highest pressure in each range (i.e. 15 psi and 30 psi respectively). As part of Rotork Instruments, Fairchild provides a complete range of regulators, boosters, I/P transducers and other products. Rotork Instruments can also provide fully approved switchboxes, positioners, solenoid valves and other actuation and severe service components to complete the automated flow control package. Find out more about Rotork Fairchild I/P Transducers.